We generally think of Vitamin D as being important in relation to our teeth and bones and indeed it is, and there has been plenty of other research over the past few years relating Vitamin D deficiency to cancer, heart disease, autism, obesity, rheumatoid arthritis, diabetes and dementia to name but a few. So I think you will be able to see here how important Vitamin D status is to our health! Our best source of Vitamin D without a shadow of doubt comes from the sun and I think you would agree that in the UK we simply don’t get enough of it! Oily fish i.e. 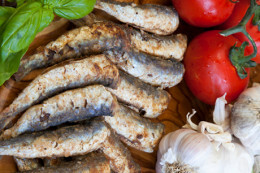 salmon, herring, mackerel, sardines, tuna and trout. I think you will agree that this is a very short list? If you are a vegan or if you don’t like oily fish or eggs then you’re in trouble. Some foods are fortified with Vitamin D such as breakfast cereals, margarines and sometimes orange juice but these foods are not healthy options for other reasons. Also foods are often fortified with inferior forms of Vitamin D which simply do not have the same health benefits as Vitamin D from natural sunlight. So three very good reasons here why I think it is a good idea to supplement with Vitamin D especially during the winter months. 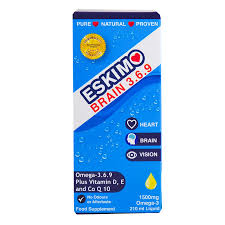 If you do decide to supplement with Vitamin D it is important to choose a good quality supplement which contains Vitamin D3 (Cholecalciferol), rather than Vitamin D2 (Ergocalciferol). Vitamin D3 is 87% more potent than Vitamin D2 in raising and maintaining our Vitamin D levels. It is often the D2 form which is used to fortify foods including milk. I supplement my diet with Vitamin D and the one I really like is a liquid product with a dropper by Nutri Advanced called D3 Drops 1000, it is £9.98 and the dosage is 1-5 drops per day. I like this product because you can vary the quantity depending on how much sun you are getting. If you are interested in trying this product you can buy it through the Natural Dispensary and if you use my practitioner code Zing5 you will get a 5% discount. 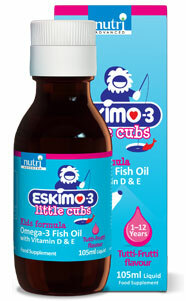 Nutri Advanced also do some great fish oils which also contain the Vitamin D 3 form of Vitamin D3. ← Could Eating Fat Prevent Alzheimer’s?